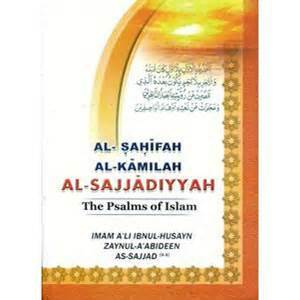 SHAFAQNA – Sahihah Sajjadiyyah is a book containing 54 Duas by Imam Sajjad (AS). After the holy Quran and Nahjul Balaghah, this book has an important position among Shia Muslims. Agha Bozorg Tehrani mentioned 50 commentaries of Sahifah in Alzari’ah with the most famous of them being Riazal Salekeen written by Seyyed Alikhan Shirazi. Sahifah is also translated into English, French, Turkish, Urdu, Spanish, and other languages. According to Islamic experts, after the holy Quran and Nahjul Balaghah, Sahifah Sajjadiyyah is the biggest treasures of Divine Truth and Knowledge . It has been mentioned that Sahifah is also called Sahifah Kamelah as the Sahifah which Zaidis have is not in complete form but it is half the full version and the Shia Muslims who follow 12 Imams (AS) call the Sahifah which they use as the Sahifah Kamelah (full Sahifah) . The authenticity of Sahifah has been confirmed by many great Islamic scholars. In this regard, Agha Bozorg Tehrani said: The first Sahifah from Imam Sajjad (AS) authenticated many times and the special feature of this authentication relates to the scholars, who asked permissions from their master scholars to narrate it during all the times until the present time . Alzari’ah, Vol. 15, pages 18-19. Moqadamah Bar Safihah, Mar’ashi Najafi, Page 46.